Gorgeously remodeled farmhouse sitting on over 15 acres close to Mt. Pleasant and Shepherd! Beautifully restored oak trim and oak flooring throughout. Large kitchen with tons of storage and a large island. Huge living room and formal dining room. Lots of love went into restoring and maintaining this property! 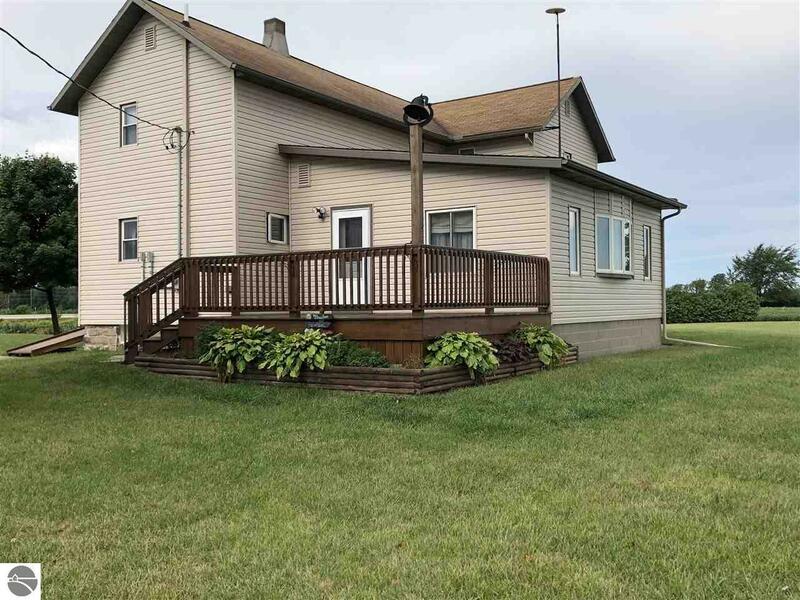 Large, nicely landscaped yard with a 54X64 pole barn. Covered porch on the back of the home and also a big deck great for entertaining family and friends! Truly a great place to raise a family close to town!